Adam shows aspiring classroom leaders three ways to lead students naturally and effortlessly into quality discussions of any book. He demonstrates each of these techniques through live discussion of a beloved American classic, and teaches audience members how to try them at home immediately. Dr. House has been a Christian college and seminary professor for most of his career. He has also served as a pastor, church planter, and in summer missions work in Indonesia and South Korea. He has served as adjunct faculty at Taylor University and Columbia International University. For several years, he was the Director of the M.A. in Pastoral Ministries, and Director of Mentoring at the Huntington University Graduate School in Indiana. Dr. House has earned a B.A. from Asbury College, an M.Div. from Asbury Theological Seminary, an M.A. from Trinity Evangelical Divinity School, and a Ph.D. from The University of South Carolina. His M.A. research focused on the History of American Revivalism, and his doctorate was in American Educational History. Other research interests include the History of Christian Liberal Arts Colleges; American Religious History; and American Cultural, Political, and Religious Trends and Issues. He is currently engaged in research, consulting, ministry, and pursuing entreprenneurial ventures. He and his wife Laura homeschooled their three college-aged children, and currently reside in Lynchburg, VA.
A study of the history of American education reveals its vast influence on this nation. One cannot accurately assess American history without an awareness of the development of the nation’s educational system. Education has shaped the mind and the soul of Americans for decades, and in so doing, has influenced our culture historically, politically, spiritually and socially. There are two basic philosophies of education. One comes from the Judeo-Christian tradition. It values scripture, the intimate role of a personal God, and places Jesus Christ at the center of the educational process. The other is rooted in the Enlightenment of the 17th & 18th centuries. It reacts against the Christian tradition and its ideals. The two compete in the arena of American education. This seminar provides a brief overview of the historical and philosophical development of American education. It discusses how the Christian philosophy and the secular humanist philosophy differ in terms of who a student is, what education is, and the purpose of educating a person. At the core of the current religious, political and culture wars, an understanding of the purpose and outcome of these two philosophies is essential to the shaping of our nation’s future. Andrew Kern, is president and founder of the CiRCE Institute. He graduated from Concordia University in Milwaukee, Wisconsin where he was mentored by Dr. Gene Edward Veith and was graduated with a BA in Liberal Arts. Shortly afterward, Dr. Veith and Andrew co-authored the best-selling Classical Education, The Movement Sweeping America, now in its second edition. Andrew has been directly involved in the establishment of three classical Christian schools, has trained teachers in over 50 since 1996, has consulted with still more on institutional development and start-up, and has been directing the CiRCE Institute full time since the summer of 2000. Andrew Kern is married to Karen. They are the parents of three boys and two girls: David, Matthew, Katerina, Larissa, and Andrew. If education is more than training for a trade, if education is, as Kern believes, the cultivation of wisdom and virtue, what practical activities cultivate wisdom and virtue in our scholars? In this talk, Kern argues that no other subject provides more opportunities to do so than writing. Learn the five paths that every great writer must walk to attain greatness and that every writer or teacher of writing must at least stroll to progress down the path of good writing. The Lost Tools of Writing is a bold new writing program that applies the principles of classical rhetoric to contemporary writing. You know Teaching Writing: Structure and Style (TWSS). In this workshop, Andrew Kern, developer of the Lost Tools of Writing, introduces you to classical rhetoric and explains how LTW relates to TWSS – when to use each and how to tie them together. Jennifer Kimbrell began college as an English major, but switched to Nursing when she realized that no one was going to pay her to read good books. She never even considered teaching until she and her husband Charles were providentially compelled to homeschool their children. Nine years ago she discovered IEW. After teaching it to her children for a short time, she began to share it with friends. Soon came teaching roles as a co-op member, a paid co-op instructor, and finally, a free-lance instructor. Now teaching three levels of IEW to middle and high school students, she is continually motivated by the transformation of her students’ writing. Currently homeschooling her last child, Jennifer also teaches Sunday School, sings in the church choir, and reads good books. High school students who have mastered the structure of the five-paragraph essay are ready to move on to some of the models taught in college freshman composition courses. One of the most useful is the Division essay, a model that can be used for a wide range of subjects, such as the branches of government, parts of a cell, or literary analysis. The Process essay, a near relative of the Division essay, will also be discussed. Although the IEW method works splendidly for individual instruction, IEW classes do offer some advantages over one-on-one teaching. A predetermined group plan reduces the temptation to linger too long on a particular skill. In addition, class synergism can dramatically boost progress. Learn organization and implementation strategies that make IEW classes effective for students, comprehensible for parents, manageable for teachers, and rewarding for all. Originally tailored for homeschool classes, the ideas are adaptable for any classroom. It is amazing what primary children need to accomplish in a short period of time. This workshop will explore the activities which ensure students are successful from letter stroke to composition. Letter formation and letter stories will be explained along with games to ensure letter shapes and sounds stick. Methods of copy work and dictation will be explored along with how to gently introduce young students to the stylistic techniques. Finally, ideas will be presented for developing the elements conducive to writing in a primary classroom. Andrew Pudewa has talked about Anna Ingham and her inspiration to many who love children and want to teach them to read, write and spell effectively. This workshop will explore the Blended Sound-Sight method and explain how educators can use her principles in the classroom and at home to teach reading and spelling. Young children love stories and poetry. How can we make the most of this precious time? This workshop will explore the story sequence chart and use it as a springboard for reading comprehension, vocabulary development and story writing with style. Poetry and poetry integration will also be explored. Although he is a graduate of the Talent Education Institute in Japan and holds a Certificate of Child Brain Development from The Institutes for the Achievement of Human Potential in Philadelphia, Pennsylvania, his best endorsement is from a young Alaskan boy who called him “the funny man with the wonderful words.” He and his beautiful, heroic wife Robin currently teach their three youngest children at home in Atascadero, California. Monday Plenary 2:30 What are we really doing here? Thursday 10:20 AM with Dr. Webster Where do we go from here? Maureen Richards, a retired lieutenant colonel in the U.S Army Reserve, has taught writing since she began instructing as adjunct faculty for the United States Army Command and General Staff College. Tragically, she noticed that senior officers, with bachelor’s and frequently master’s degrees, would rather attack a live machine gun nest than write a paper. Seeking assistance, she attended graduate school where she stumbled upon Dorothy Sayers’ “The Lost Tools of Learning” and Mortimer Adler’s How to Read a Book and realized that clear communication was as much a thinking problem as it was a writing problem. After earning a Masters of Education from Aquinas College, she refined the above principles when she taught 11th grade English and 12th grade rhetoric, with incredible results. By the 4th year, four students earned nearly $250,000 in scholarships in a single essay and interview competition. A few years later, circumstances found her teaching a 5/6th and 7/8th literature and composition in a small K-8 classical Christian school where she discovered that good thinking and writing tools employed at the rhetoric level also worked at the logic level. Her young students’ essays eloquently address the “Ultimate Questions/Subjects of Life” and their poetry consciously employs the poetic elements. Maureen is married to Jay, and they have three grown children and two grandchildren. All authors address the “Ultimate Questions/Subjects” of life. Teachers need to help students develop tools to discover what an author is saying about Man, Nature, and God and evaluate the Truth claims made. By screening literature through the “Ultimate Questions,” teachers empower logic and rhetoric level writers to reveal an author’s claims through a strategy known as “claim/quote/explanation.” Amazingly, this writing strategy unconsciously leaves the classroom and follows students into the movie theater too! What makes poetry great is a difficult concept for students to grasp, until they must compose their own poetry. Poetry writing creates appreciation and poetic competence. By using literature, already read in the classroom, students can easily create long, metered, and rhymed poetry that is imaginative, delightful, engaging. Although currently used primarily with 5/6th graders, the method could be used for Advanced Placement classes to review literature while simultaneously refining or reviewing the elements of poetry. 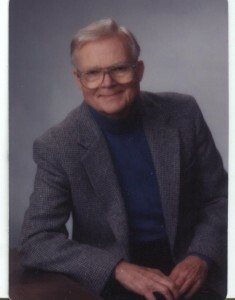 Best-selling novelist Lee Roddy’s credits include 43 wholesome novels for young readers, 10 adult novels, and 12 nonfiction books with sales in millions of copies. He currently has 30 books in print and is writing new stories. A book reviewer wrote, “Lee Roddy is the grand-master of exciting books for young readers.” Lee has taught fiction across the USA. His newest book is The Novel Writers Guide to Success published by the Institute for Excellence in Writing. It will be released at the Writing Educators Symposium in July. The author and his wife, Cicely, live in California. They have a grown son, daughter and two grandsons. Are your students ready to advance from short story writing to novelettes or entire novels? This session teaches how to create stories with appealing characters, unique situations and emotional conflicts that soar to a dramatic ending. Instruction also alerts teachers about the revolution from traditional to innovative electronic publishing. These offer new opportunities for advanced writers. Success depends on writing good stories. The author’s new book, The Novel Writers Guide to Success will be available. This session will help you teach students how to write a complete story instead of incidents. Most young writers produce incomplete or minor fragments of an event instead of a real story with a beginning, middle and ending. Using my simple three-point method, students will learn to structure a story with the necessary elements in their proper place under each of the three anchor points. These hold the narrative together and move it forward to completion. For the past thirteen years, Janet Spitler has been instructing students from 5th to 12th grades, home-school moms, and private school teachers in the IEW methodology. After her children graduated high school, she began teaching at a classical Christian school. Recently she accepted the full-time position of Classroom Consultant to private and public schools for IEW. Janet and her husband Greg reside in Edmond, Oklahoma. Every teacher is keenly aware that in language acquisition students are gifted with varying aptitudes and that they arrive in the classroom with varying language experiences. Discover how to release the butterflies without stomping on the caterpillars. Gain the tools you need to grade effectively and efficiently. Create a rubric that provides clear, concrete expectations and learn how to move the external, required expectations to internal, natural actions. The importance of indictors, filtering, and editing will be discussed. Educators and parents can learn to recognize indicators of learning disabilities and then tackle the disabilities without fear. Using TWSS as an indispensable therapy with which to begin, discover how the program cooperates beautifully with other effective therapies. As a result, use accommodations that actually treat your student’s disability while avoiding those that leave him or her shackled for life. Workshop requirements: a sense of humor and a plentiful amount of hope.